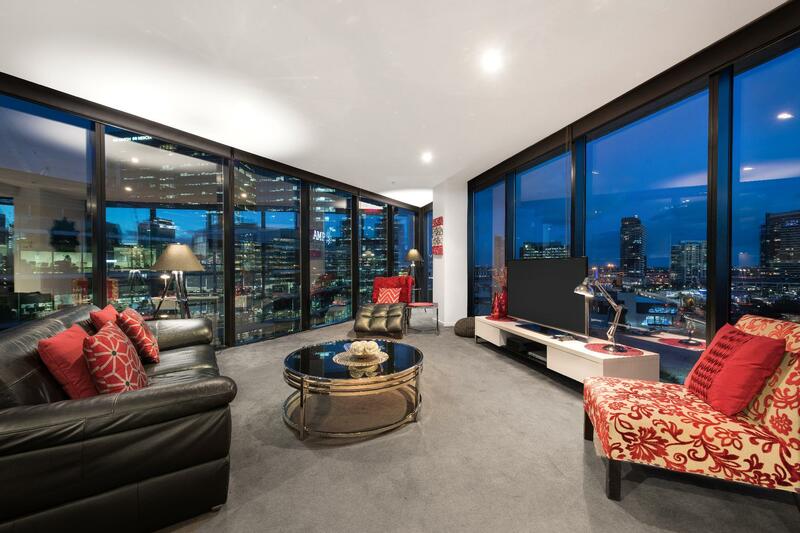 إن فندق Docklands Executive Apartments بموقعه الممتاز في هذه المنطقة السياحية هو نقطة انطلاق جيدة لنزهاتك في هذه المدينة المذهلة. يحظى هذا الفندق ذو 4 نجمات بمكان ممتاز يسمح بالوصول إلى المعالم السياحية الأكبر في المدينة، فهو يبعد مسافة 1. Km عن صخب المدينة. يشكل هذا الفندق ملاذاَ مريحاً للاسترخاء ويمنح زواره فرصة للاستجمام والتجدد، وهو يقع على بعد خطوات من المعالم السياحية الكثيرة للمدينة. استمتع بالخدمات الراقية والضيافة التي لا مثيل لها بهذا الفندق في هذه المدينة رائعة الجمال. إن واي فاي مجاني في جميع الغرف, متجر, مطبخ, تسجيل وصول/تسجيل خروج خاص, خدمة سيارات الأجرة هي جزء فقط من الخدمات التي تميز Docklands Executive Apartments عن باقي الفنادق في المدينة. لقد جهزت هذه الإقامة الفندقية بعناية فائقة لتوفر مستوى عالي من الراحة. في بعض الغرف يجد النزيل تلفزيون بشاشة مسطحة, بياضات, مرآة, مناشف, اتصال لاسلكي بالإنترنت. يقدم الفندق العديد من الفرص للاستجمام كمثل تأجير معدات التزلج, حوض استحمام ساخن, مركز للياقة البدنية, حمام سباحة خارجي. 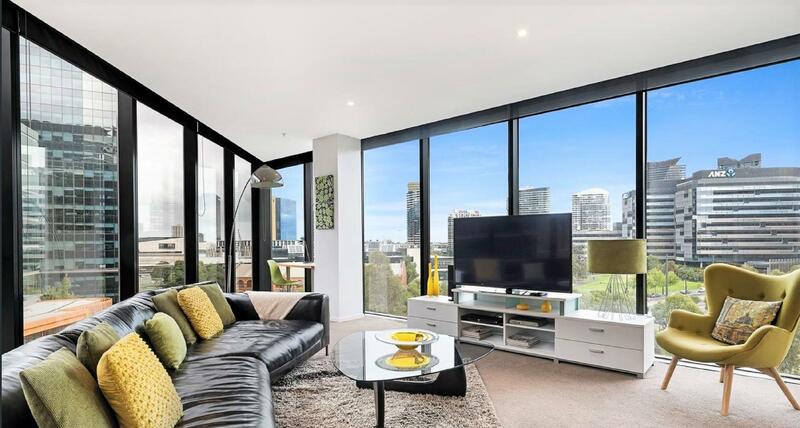 مهما كانت دواعي سفرك فإن Docklands Executive Apartments هو خيار ممتاز لإقامتك في المدينة. Very clean and kind explaination when check in. So pleased to hear that you found your apartment to be very clean. We do put a lot of effort into our presentation, especially when it comes to hygiene as I know that is something I look for when staying away from home. Please do come and stay with us again! Apartment had everything we needed and wasn't too far from trams. Would stay again. We are so close to the free city tram and I am glad that you found this to very convenient. We would love to have you stay with us again! Paul is so nice, he will give SMS tips early. Our family is very happy. Thank you. Happy that you enjoyed your stay with us and it was a pleasure meeting you. We hope that you choose to stay with us in the future. Great stay. Very close to the tram line to get into the city. Less than 10 minute walk to the Melbourne Convention and Exhibition centre. Thank you for your wonderful review. The free tram does come in handy when exploring the city centre and accessing the Melbourne Convention and Exhibition Centre. We would love to welcome you back in the not too distant future! The owner was friendly and helpful, place was great and very near to a lot of trams. Will definitely come back here again. Thank you for your lovely review. It was a pleasure having you stay with us and hope that we see you again in the not too distant future! Paul was a great host and the apartment had everything you could think of! The location was amazing with everything at your door! It was clean and the attention to detail was fantastic! Would highly recommend and will definitely use them again for our next Melbourne getaway! Thanks guys! Glad to hear you value our attention to detail when it comes to our presentation of our apartments. Do come and visit us again we would love to have you stay with us! It’s very good location in particular with the free tram. We like the view of our apartment which is spectacular. So happy that you loved the view from your apartment. We hope that you return to stay with again in 2019! The first sight is feeling very warmly comfortable. Dining丶living丶kitchen 丶shower and two bedrooms are large enough. The design idea of apartment is fashionable. 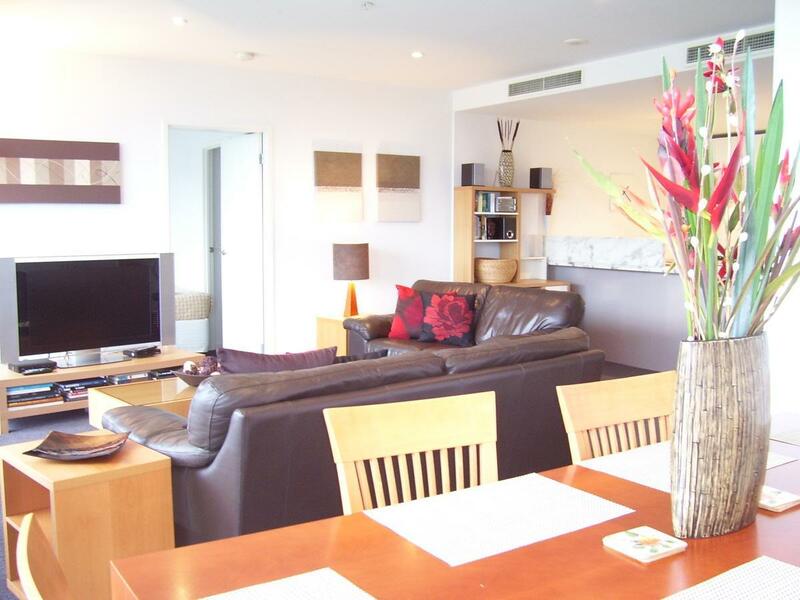 Our apartments are very large and spacious and offer a separate dining, living and kitchen area with plenty of room for guests to relax and enjoy. Thank you for feedback and we hope to see you again! Stayed for 7 nights with my friends for Australian Tennis Open. Paul was absolutely responsive and helpful and the apartment itself had fully equipped with daily needs. The only thing that didn't meet our expectation was coffee in the room - powder instant coffee, however there are good cafes nearby so it was all good in the end. 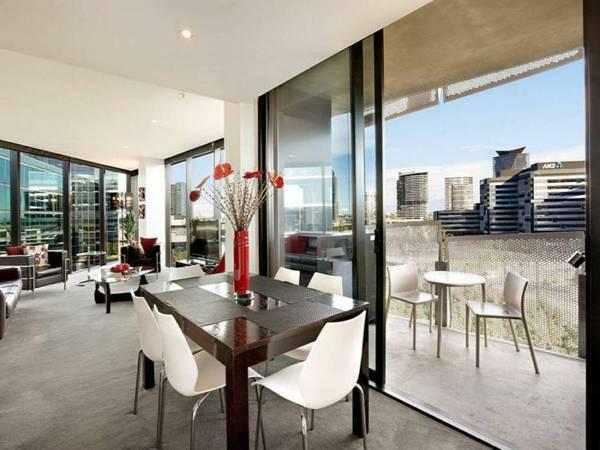 I would love to stay the apartment again when I go to Melbourne. Thank you for positive feedback. Hope that you come and stay with us again in 2019! We are so glad to live in the apartment for 6 days. Apart from the complete equipment, the apartment is well located, with two main tram routes to the city center and very close to the supermarket, as well as a gym and swimming pool. 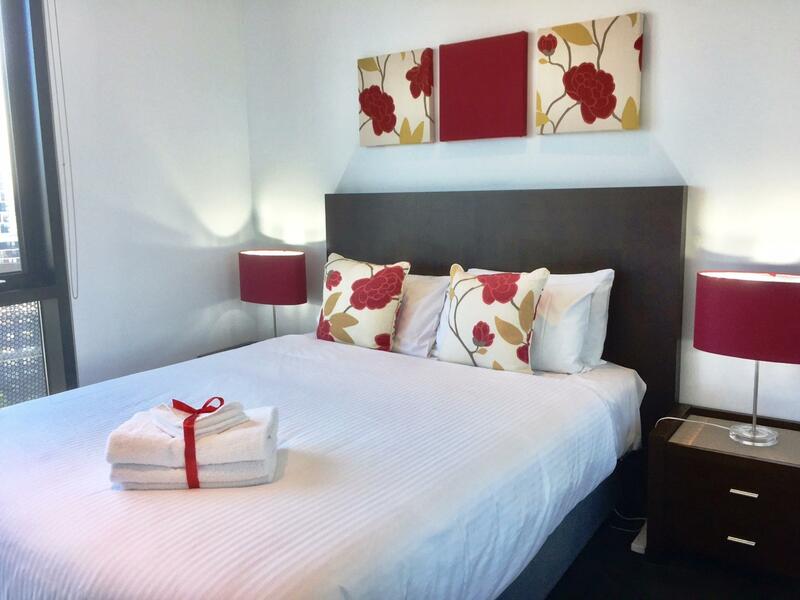 Highly recommend to Melbourne vacation accommodation the best choice. Excellent hosts! Spacious, clean and beautiful apartment. Free tram is just a 5-min walk away. Awesome place to be in! Hosts there to greet you no matter what time you arrive.. excellent communication too. This apartment is exactly how its described.. no false promises or advertisement.. in a beautiful location just outside the city which is what we wanted. Everything you could possibly want is there for you... down to the soap powder. very clean, modern and contemporary. 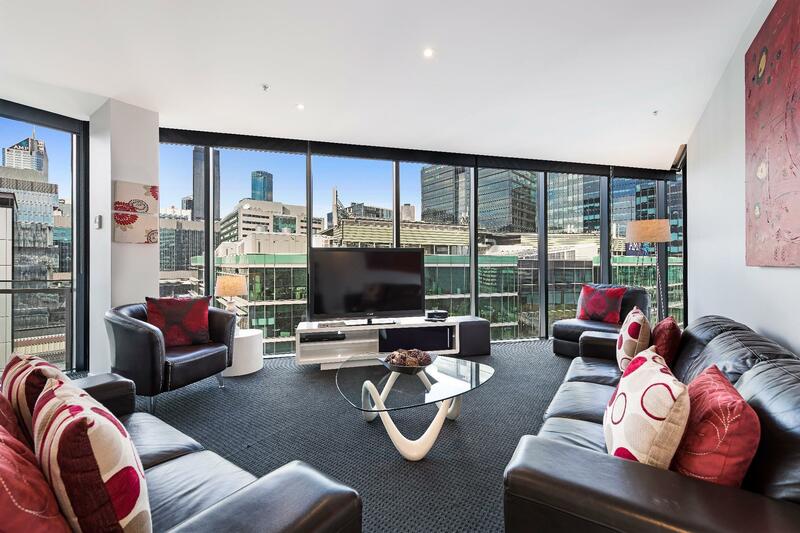 really enjoyed our stay at these apartments and would use again when we return to Melbourne. We felt very safe and secure here and it really was like home. thank you for making our stay in melbourne so comfortable. look forward to seeing you again. Overall it's a nice place to stay with, the location is good, easy to access each sightseeing spot of the city, the TRAM station is just nearby. Very comfortable room and view. Coz it's not a hotel, there's no daily house keeping, that's the only thing we were not aware of it b4 we booked. We will consider to back again in our next visit. The kitchen was well equipped. There was washing machine and dryer which comes in very handy. The apartment condition was very good. It feels like you never really left home. Good location, easy access to everywhere. Very clean, comfortable, helpful, nice and friendly manager. Fully equip with everything you need. A good place for holiday or business stay. An apartment that you wish to stay longer. Good locations, enjoy so much!